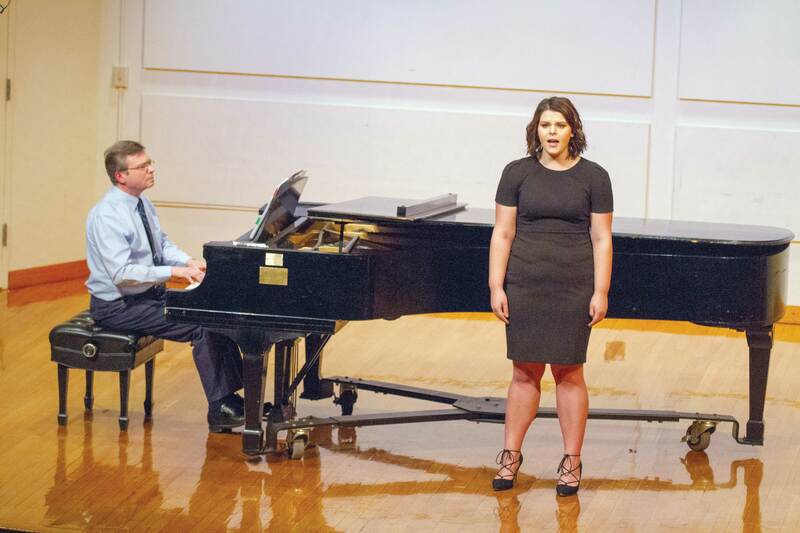 As the semester begins to wind down, music majors are looking towards their final recitals. While the audience members’ appreciation of the recital might only go as far as the event itself, students have been working all semester long to perfect these performances. One method is through Music Workshop. 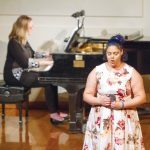 Throughout the semester, every Wednesday from two to four p.m. music students have been performing in mini-recitals called the Music Workshop Student Recital Series. Music Workshop is a no-credit class requirement for music majors. Students perform one time during the semester for about 10 to 15 minutes. Students are also asked to speak about their pieces to the audience, which was a new aspect added by Assistant Professor Dr. Christina Wright-Ivanova this semester. “I think it has been really helpful because students in the twenty-first century have to be able to not only play their instrument, but to be able to talk about music. They have to be able to pull the audience in and educate the audience,” Wright-Ivanova said. First-year music major Colette Rinker is working this semester as a backstage assistant for the workshop. The job is offered both as a student hourly or a work study position. “We help set up the alumni recital hall stage for whatever our performers need for that day. We don’t know what’s going on until the day before, and sometimes the day of, like five minutes before hand. It’s a job that keeps you on your feet, but it’s also a really great way to see behind the scenes of what goes into a performance backstage,” Rinker said. By helping with Music Workshop, Rinker explained she is able to see and enjoy her peers play in music in a low-stress setting as well as also see what happens behind the scenes seconds before a performance. These mini-recitals are designed to help students prepare for end of the year recitals and also give them experience performing in front of a crowd. “They get real world experience. Like any performance of any kind when you’re on stage, there are a lot of nerves involved. This gets them a chance to get the nerves out on stage. The more you do something, the easier it gets. The more they are up there talking and playing, the more comfortable they will feel when they are applying for jobs,” Wright-Ivanova said. 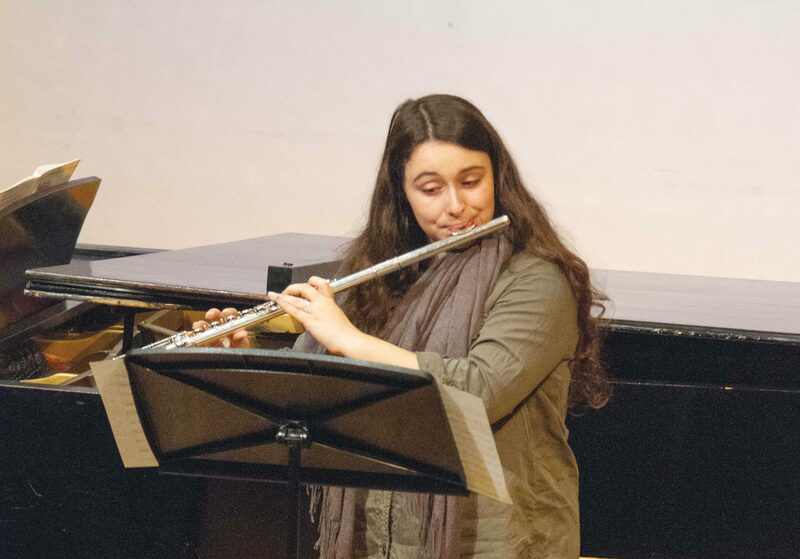 Sophomore Kacie Palmacci performed three pieces in the music workshop on Wednesday, Nov. 28. As a sophomore, Palmacci is finishing up her third semester in music workshop. Having this course available to music majors is beneficial, Palmacci explained: “Being able to perform is always beneficial for a musician. Being able to get better at reading the room’s acoustics and being confident are some of the most beneficial skills a musician can have,” Palmacci said. The Wednesday Music Workshop performances are open to the public and free of charge. “It would be amazing to have more of the campus community come out to these recitals to hear what the music department is doing,” Wright-Ivanova said.